We love these two amazing pieces from T. Los Angeles, both of them on sale! 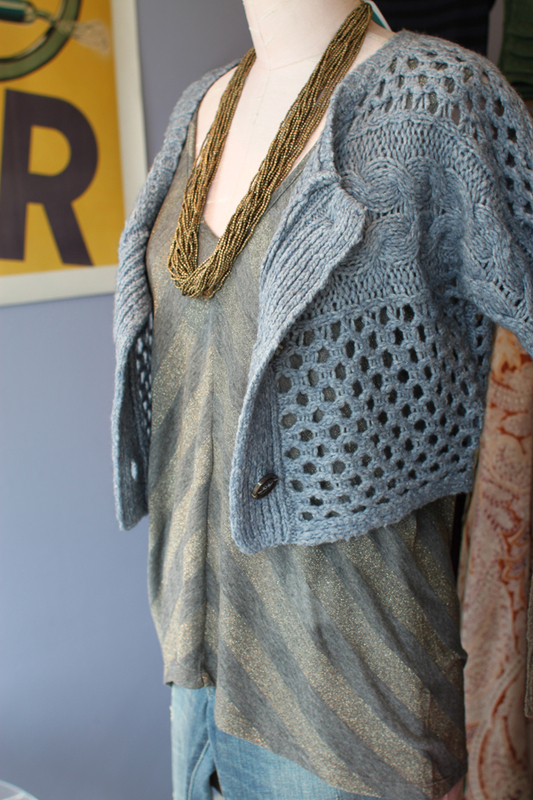 The pretty cropped cardigan in pale blue is the perfect cozy counterpoint to the slouchy metallic tank top. 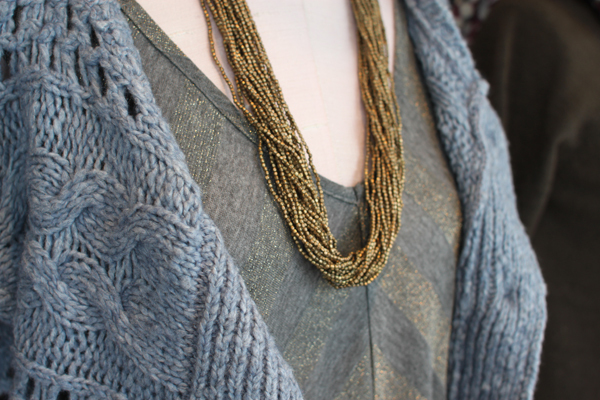 Throw on your favorite jeans and a layered necklace and you're set!